For starters, you’ll get a machine that looks very impressive indeed! Sure, the big 10” colour screen on the console certainly helps, but also the sleek, curved and substantial design of the machine give it a commercial club-style appearance. The build quality is very price appropriate, with a chunky frame, oversized pedals that glide along thick guide rails and perhaps most importantly a weighty 23 lb flywheel. 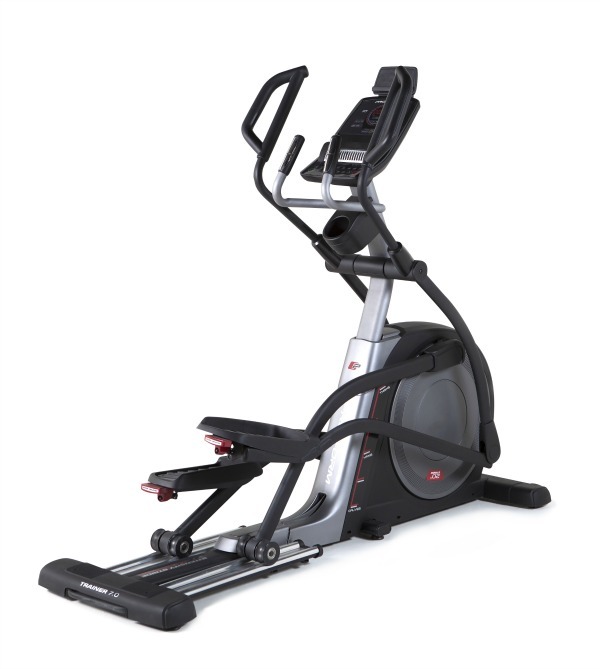 These quality components combine to give a very smooth elliptical motion with plenty of resistance available through 20 levels. It’s also rock solid in use – there are a pair of leveling feet at the front. 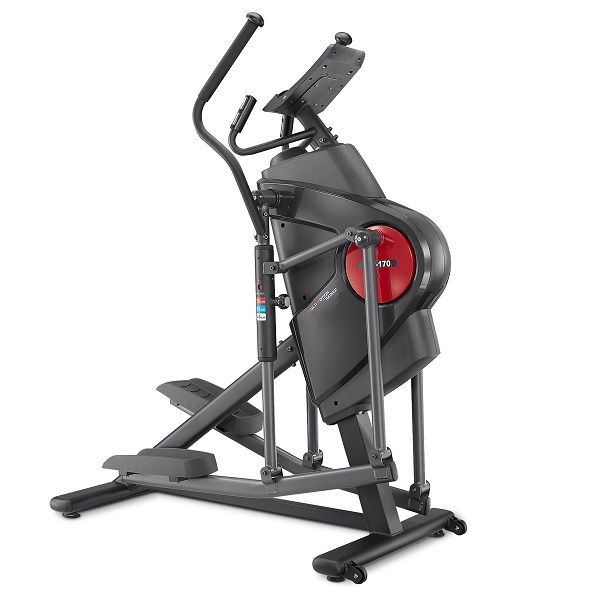 Middle and rear giving the machine a sturdy footing plus the frame and dynamic handles are thick enough to feel very robust and prevent flexing during rigorous workouts. For peace of mind you get a Lifetime Frame & Brake warranty with 5 years parts and 3 years labour. Fortunately, Vision have got the biomechanics of everything to feel good ergonomically because they have sadly made no provision to adjust either the angle of the pedals or the distance of stride length. 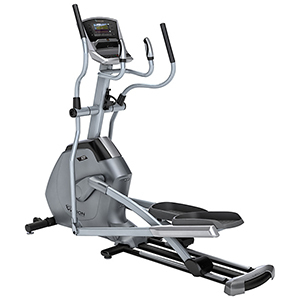 What this means is that shorter users (under 5’4”) may find the movement a bit of a stretch, however, those of average height and taller/heavier users (up to 300 lbs) should find this machine very comfortable. The movement of the pedals feels especially natural thanks to the closeness that they travel together (Called the Q-factor). With that in mind, Vision has even designed the pedals to slightly overlap with each revolution so to take into account the over-sized proportions of the footplates. All these things can be found on any of the X20 range, so let’s get down to what separates this machine from the other two – The top-of-the line Touch console! The 10″ touch-screen display is visually superb as well as loaded with features! There are 17 pre-programmed workouts, as well as iPod and iPhone compatibility, workout tracking through Nike Plus, and heart rate training with a Polar chest strap included. There are two built in videos available allowing you to experience the Northern Rockies and North East American and more are available to purchase online. 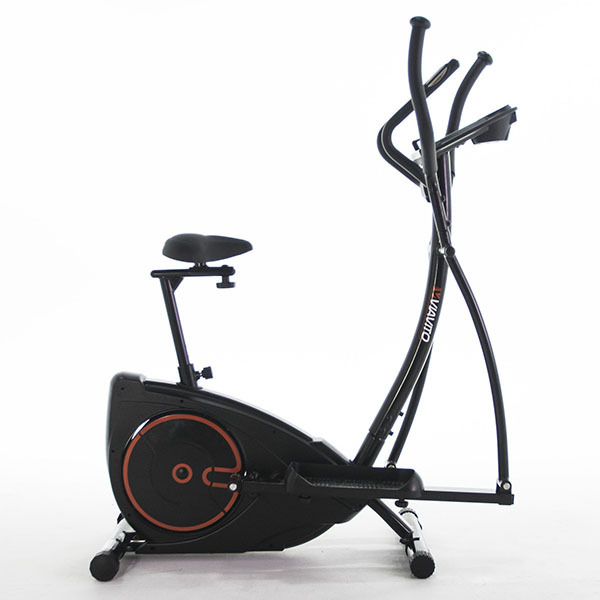 The high definition screen does a fantastic job, providing escapism away from the repetition of conventional workouts. However, it’s possible to go one step further in ‘transporting’ you to feel like you are really there, by having the Virtual Active videos playing on your home TV screen through an optional device called a Passport media player (around £150). This not only wirelessly plays the video on the ‘Big screen’ it also overlays your workout data over the Virtual Active video or even over your favourite TV shows! Plus the player comes preloaded with the choice of two destinations of America Southwest and Northern Italy. Passport offers a great way of widening your workout options but fortunately the X20 Touch comes with a great array of inbuilt programs as standard. When you first start you can set up 4 preset users or a guest user. A preset user can store their name, date of birth and weight so as to produce more accurate calorie consumption figures and quick calculations when setting up heart rate percentage targets. Plus, your personal workout achievements are stored in a calendar-style workout journal, meaning that you can not only refer back to past sessions and monitor your progress, you can even re-do previous sessions to see how your fitness has improved! On the home screen you have a row of buttons to take you to various features. ‘Classic’ gives you the options of a Manual program, a weight loss session, interval training or ‘Custom’ which allows you to personally create and save three unique workouts. Another great feature is called ‘Sprint 8’ which are courses designed around 20 minute interval training workouts. The number ‘8’ is in reference to each session being made up of 8x 90 second low intensity recovery segments mixed with 8x 30 seconds high intensity sprints. There are 5 courses but the user can select what category best suites them from beginner, intermediate, advanced or elite depending on how much resistance they wish to experience during each of the 5 programs. 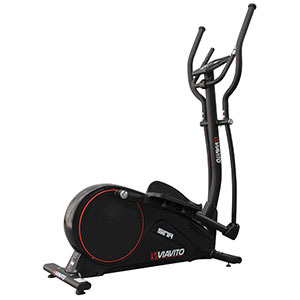 There is also a Constant wattage program- here the user can programme in the length of their session and the wattage that they wish to train at and the machine will automatically alter the resistance to maintain a constant wattage output. To keep you focused there is ‘Goal setting’ button with 4 options to choose from ( a 5km, 10km, distance or calorie goal). The X20 stores your progress in the calendar after each session and every time you sign in you are told how close you are to achieving your goal. The X20 has pulse grip sensors inlaid into the chunky, static handles however we always remind folks that this is a notoriously inaccurate method of getting pulse readings! Far better is to utilise the free Polar chest belt which links wirelessly to the inbuilt receiver. Doing so, not only means you can use the dynamic handles instead of the static ones to enjoy the total body workout, but you can also make use of the 2 heart rate controlled programs on offer too. 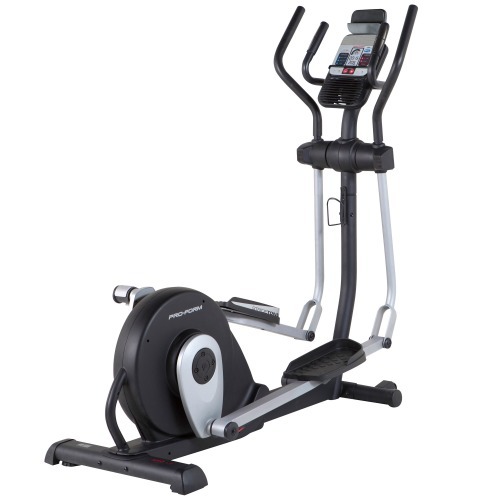 Here’s where the computer uses your stored personal info to make Target heart rate percentages calculations instant and effortless! 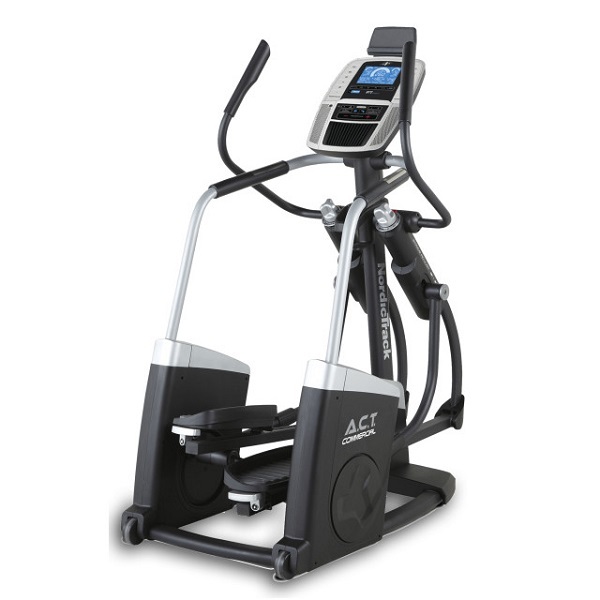 You can simply slide the onscreen scale to either the maximum heart rate you want to work within or the percentage range and the machine will adjust the resistance to keep you in the zone. 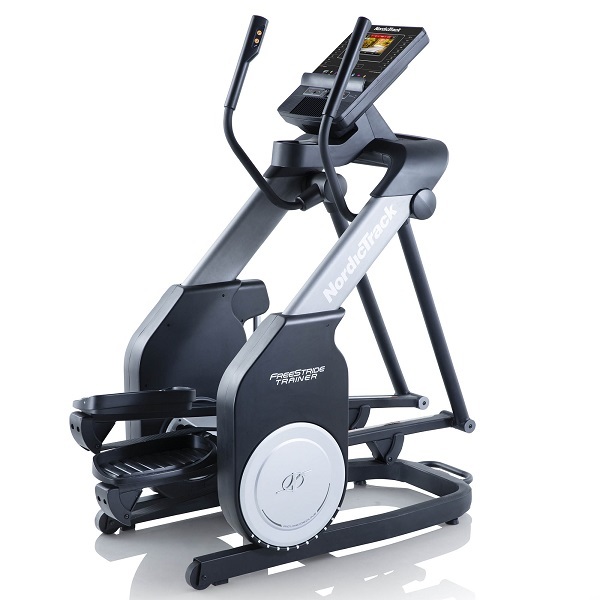 However you want to keep yourself entertained during your workout, the X20 seems to allow for it. There’s even a neat USB cable that pops out from behind a flap in the console to charge devices and a ledge to hold your iPad or tablet. This is a fairly big, imposing machine and although it’s got front transport wheels to move it once you lift the rear, it’s really not designed to be ‘tucked away’ when not in use! Vision have made this with frequent use in mind by multiple users – it may sound cliché but it really does offer fun for all the family and friends! The thing we really love about this machine IS the console. Yes there’s some really engaging programmes like Virtual Active and Sprint 8 AND the screen is an impressive 10”of tactile technology but best of all is the fact that it’s an absolute delight to use! It’s SO user-friendly! Each programme even has a handy ‘?’ feature which will provide the user with a simplistic breakdown of the program as a quick reminder of what’s in store. We said this is “fun for all the family” because we really can imagine that most ages and experience levels will enjoy it. The whole review team certainly did! 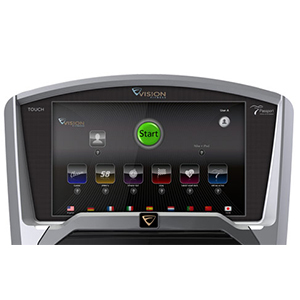 The Vision X20 Touch is not currently available from any retailers we're aware of in the UK. 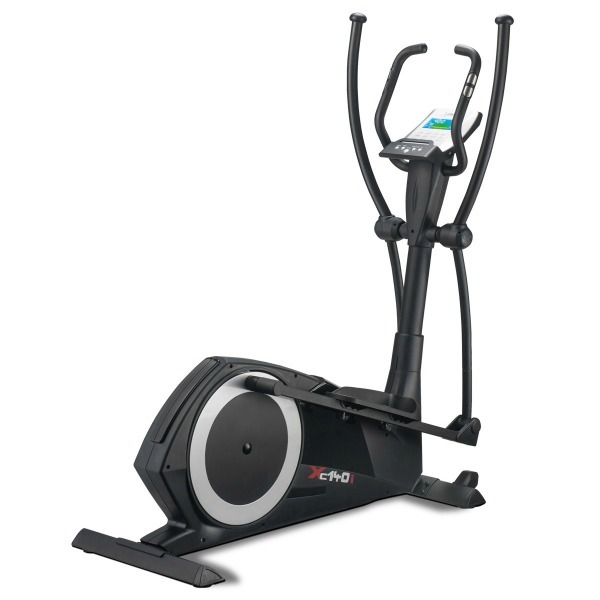 If judged purely on its performance as a front drive elliptical trainer, the X20 is pretty good, but it's not really superior to top-end machines from Sole or Life Fitness. 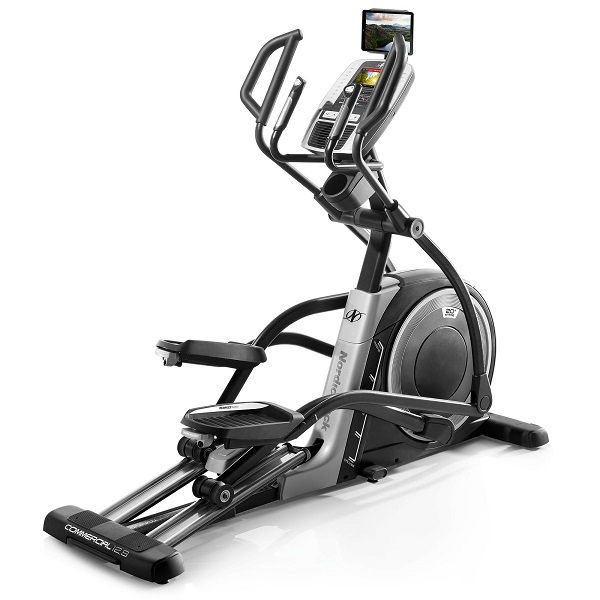 However, the user interface, programmes and the touch display really transform this elliptical from a good elliptical to a great one. Somebody at Vision has really given the whole experience of exercising on a cross trainer a good deal of thought and come up with a winning answer. If you've got the budget, we'd highly recommend it! The 10” Touch Screen is an intuitive joy to use!